Our Kissing Pomander Balls come in a huge variety of colors and are covered in high quality silk roses, ready to be a key decorating element in your upcoming special day! 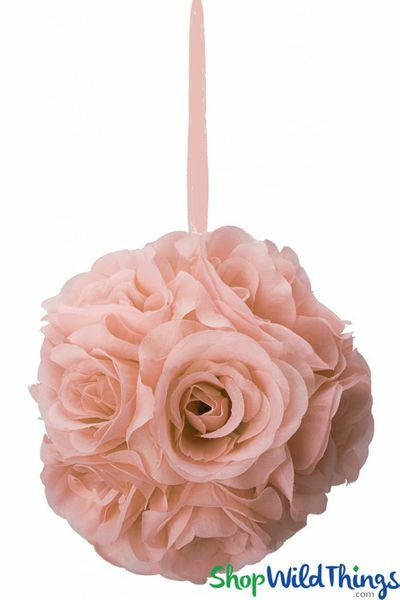 This Blush Pink Silk Flower Ball is 6 1/2" in diameter and is chocked full of silky roses! The soft pink shade is so attractive and there"s a matching 6" long ribbon. 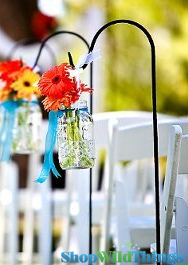 Hang Pomanders from Shepherd's Hooks to beautify an aisle or accentuate a Wedding Arch. These also look spectacular hanging from Manzanita Centerpiece Trees, from Branches and Sprays or when used on a flower wall backdrop. Top a Centerpiece Vase with a Rose Ball for a simple yet very elegant accent piece. These floral balls are so easy to work with and if you'd like to make them a bit more ritzy, use Pearl or Crystal Garland Strands to hang the balls or insert some strands into the Styrofoam for added glamour. 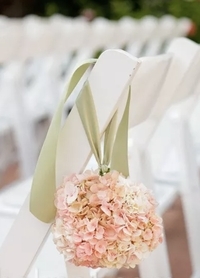 For flower girls and the bridal party, it doesn't get much easier than using these quality flower balls and they become a favorite memento for years to come! The hard Styrofoam center securely holds the flowers so you don't have to worry like you do with real, fragile flowers. We offer our Flower Pomander Kissing Balls in many sizes, colors and styles so you're sure to find the perfect flowers to fit your occasion! The Roses are gloriously beautiful and full! We shopped and shopped trying to find Rose Balls that looked like real roses, didn't look cheap, but did not have the price tag of fresh flowers. We feel that this style will meet the needs of discerning buyers without a cost that will break the bank! As described and color is as shown. They were all in perfect shape also.